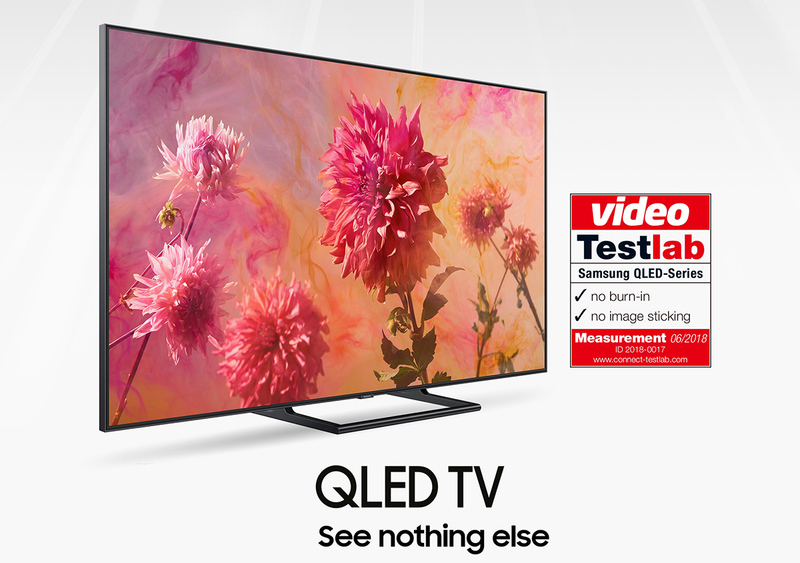 TV experts from video magazine and connect Testlab put Samsung QLED TV through a 72-hour stress test and certify the non-appearance of undesirable visual effects. Many of us have experienced the permanently ‘burnt-in’ image on a TV screen when having the TV turned on for an extended period of time. Regardless of whether you call it screen burn-in, ghosting or image retention, we can all agree that this phenomenon can be an expensive and tricky issue to solve. Accessing the TV’s susceptibility to burn-in is key to determining how long the TV will last – and ultimately whether it’s worth your money. With Samsung QLED TV models, such an issue is a bygone and consumers will be at ease to enjoy a TV viewing experience that is unlike any other. 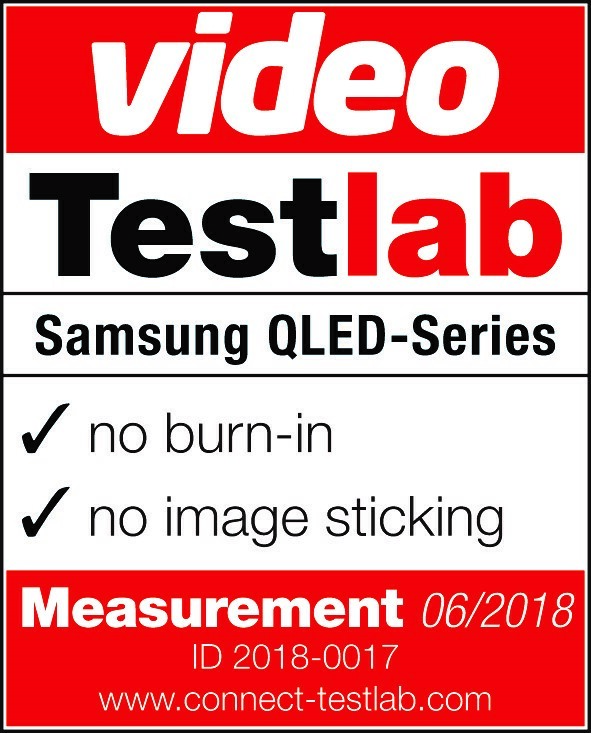 To prove that Samsung’s 2018 QLED TV series is indeed free of burn-in and afterglow, and to see if the displays stand up to the exacting performance requirements, Samsung teamed up with acclaimed German tech magazine video and global testing lab connect Testlab to carry out a certification test – based on the Information Display Measurements Standard (IDMS), an international norm for panel measurements, focusing specifically on QLED TV’s HDR (high-dynamic-range) content display quality. The results – Samsung’s QLED TVs passed the stress test with flying colours and received the certificate for ‘no burn-in’ and ‘no afterglow’ . In a 72-hour endurance test, the testers performed measurements on Samsung QLED TVs to check their reputed burn-in effects, which may be caused by static picture elements. In the test, the TVs were made to display a checkerboard pattern for deep black and very bright white values for longer periods of time. As such, all 2018 Samsung QLED TVs were proved free of burn-in and afterglow, reaffirming QLED TVs’ position as one of the most durable displays on the market today. The test lab certifies the Samsung QLED TVs ꞌno burn-inꞌ and ꞌno afterglowꞌ. The video experts tested display technologies with checkerboard patterns and gray images for 72 hours. Some TV displays show memory effects after a while – but Samsung QLED TVs do not. The test engineers added variable text elements and an intermittently blinking white frame to the test picture so that the automatic stills detection customary for modern HDR TVs could not spring into action. This helped the testers create similar conditions as in HDR video games. In addition to the standard analysis, the testers used dark gray images with brightness values of 10 nits – which will show if dark pixels are brightened up. 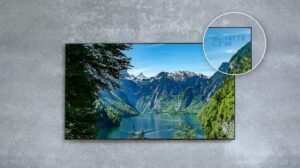 The measurements showed that the tested Samsung QLED TVs remained unaffected by the rigorous tests and can theoretically be left on permanently without picture elements like network logos leaving an afterglow or burning in. iF Design Awards 2018 commended that the Samsung QLED TV boast “unparalleled image technologies in a very thin display profile”, while bringing an “intimate yet exquisite touch to any room”. Tech Radar added that the Q9F delivers “the best 4K high dynamic range pictures” they have seen to date and it is the “most spectacular TV they have ever tested”. Trusted Reviews applauded the Q9F as the “most impressive TV reviewed in years”, noting that the “light and colour performance is, as it was last year, unprecedented”. What Hi-Fi? concluded that the Q9F is “a stunning TV in its own right” bragging that it is “the brightest, punchiest, most vibrant TV” they have reviewed. Samsung QLED TV is a product of choice among many other modern TVs for those planning to invest in a high-end TV. It guarantees powerful visual capabilities without potential memory effects or permanent damage. “Anyone who is particularly sensitive to ghost images and unwilling to run any risks over many years of use will be on the safe side with LCD or QLED, respectively,” concluded the test experts.